Where as having a mansion the size of ten lots used to be the dream of many, more and more people are becoming injected with practicality these days and modest abodes are all the rage. Decorating smaller spaces has its own unique challenges, but once you realize how to overcome those, most people agree that decorating smaller houses is easier than filling the vastness of gargantuanly sized manors. If you're currently downsizing or planning on moving into a small space, this list could save your life. Well, not really, but it could mean the difference between your interior decorating looking decent or looking fantastic. 9. Sheer windows are a great tool to utilize as much natural light as possible. If you limit the amount of lamps you're using per room, you free up space everywhere! 8. For those in studio apartments, don't be afraid to paint your space more than one color. You can use beads and curtains to divide different areas of your domicile, or get creative and devise your own barriers. A different color will trick the eye and the mind into thinking a place is bigger than it is. 7. Another note about color: don't be one of those who believes white to be the only color to use to expand a space. In fact, overusing white can lead to a claustrophobic feeling, so don't be afraid to use bold colors, especially in places like your kitchen or bathroom, to bring some variety to your home's interior. In smaller rooms, bright colors generally work best to create an illusion of more space. 6. To make a final note on color, be sure to paint in unexpected places. Drawers, inside bookcases, radiators, windowsills, T.V. stands or even tables and chairs/bar stools and more can all be painted up brightly, making perfect distractions for one to get lost on. Let your creativity shine by seeing what you can paint while finding the perfect color scheme's for every room of the house. 5, For those with small kitchens, use hanging storage devices to hang both plants and anything else you may need. Wall mounted spice racks in particular can help you take advantage of your space. 4. Display your collectibles or antiques. Whether you're a comic book fanatic, addicted to sports or maybe you have a penchant for mountain climbing or bird watching, put pictures on the walls, display memorbilia or works of art on book shelves, and thoroughly give your home the flavor of you and/or your family. Sports trophies are a great addition to any library, office, television or Florida room, so instead of tucking away your personals in storage or the attic, let them shine strategically throughout your home. For those always on the hunt for the latest great find at their local antique shop, this is especially relevant, as finding the proper ways to display your treasures can be the difference between a cluttered space and a breathable one. 3. When living in the practicality of a smaller space, not only should everything you own have a purpose, having two would be ideal. For example, decorate an old trunk to use as a table near your couch or recliner. That way, you've got a table and storage space all in one. Using furniture with deep drawers can be a big help as well. I knew one client who painted and decorated old file cabinets and had them as small tables on opposite ends of their couch; they were colorful and practical! 2. Use mirrors! Particularly opposite your windows! This is one of the oldest tricks in the book when it comes to creating more depth by reflecting light. Experiment with hanging mirrors as you would paintings to unlock the true potential of a room. 1. If you don't create negative space, all of your decorating will be for naught. You must, I repeat, you must take advantage of negative space to highlight the aspects you are attempting to highlight. If you don't have emptiness (and the right color paint for your walls) in between items, that claustrophobic, cluttered feel takes over. 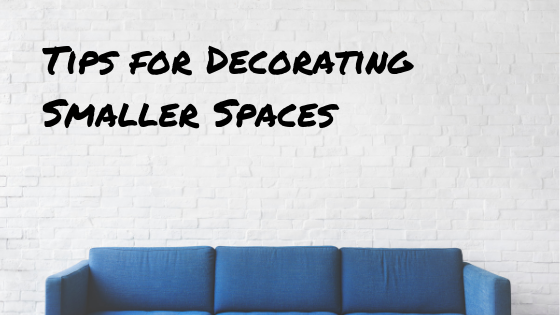 Be sure to spread things out, because when decorating smaller spaces, less is more. Always remember to have fun when decorating any space, and to let who you are as a person shine. 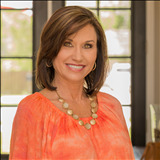 Tweet me @tonyazimmern or tag me on Instagram @tzimmernrealtor to show me some of the cool interior design choices you've implemented in your own homes!